These large (17 inches - 43 cm) birds can be found boring large holes in trees in the search for insects. Their head is like a jackhammer, pecking with incredible speed and force. 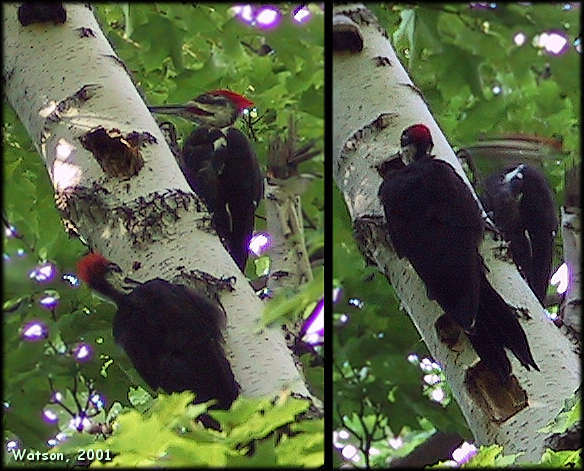 The photo on the right shows that even at a relatively high shutter speed, the head is just a blur as it drives its beak into the wood of this dead birch tree.